Two things stood out to me as I made my way home from the inaugural British Bourbon Society Bring Your Own Bourbon (BYOB) ‘popup’ event on Saturday evening. Firstly, I’ll be eating a lot more the morning before the next one. And secondly, if an official tasting was held of the lineup we had enjoyed, I shudder to think what the ticket price might be. The idea, conceived by The Bourbonator, was a simple one. Cram as many BBS members into a room as possible; each brandishing a bottle or two from their own collection for a free tasting...and see where things go from there. 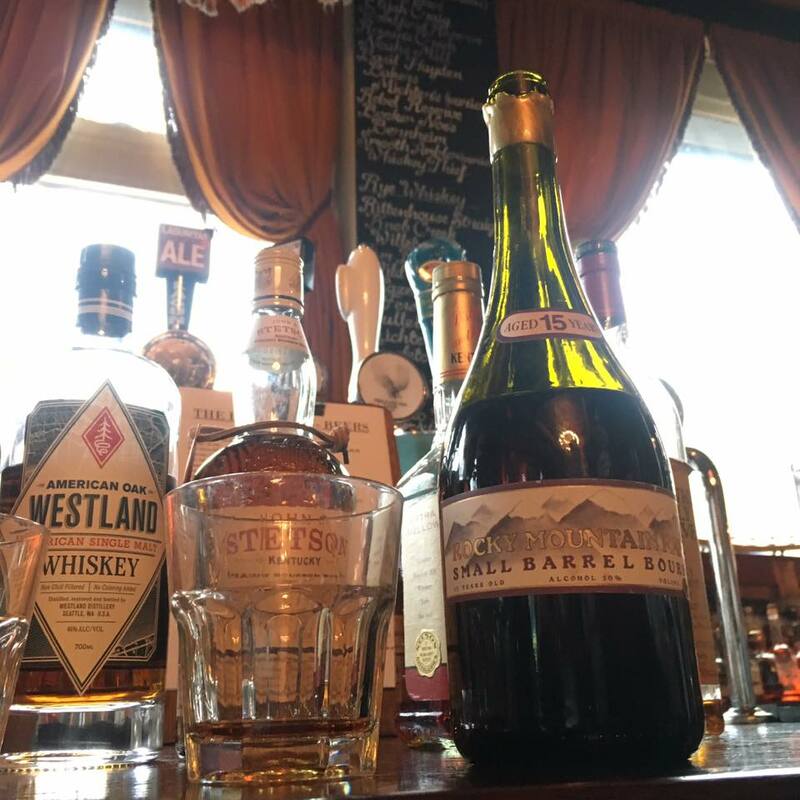 Conveniently BBS member Stacey is also bourbon guru in-chief at the excellent Lexington bar near Kings Cross, and generously volunteered it as the room into which said membership could cram. In fact it was exactly the sort of laid back, unpretentious meetup for which BBS tastings are rapidly becoming synonymous. The casual atmosphere belied the quality of the bottles assembled on the bar though; everything from 15 year old dusties to modern classics; bourbons, ryes, malts and even a stray bottle of VelierPapalin rum, courtesy of London Liquor. Once the arrival meet-and-greet was underway with members having travelled from as far afield as Manchester and Brighton to attend, Stacey opened the billing with three venerable auction finds; past-era bottles that none of us – including Stacey herself – had previously encountered. This was offset by London Liquor, who provided the harmlessly incongruous (and, even to this sceptic, delicious) Velier rum, alongside bourbon in the shape of Bookers, F.E.W and the final couple of drams of a much-treasured Van Winkle Family Reserve Rye. The pattern of the afternoon ran thus: introduce yourself and your bottles, then those assembled could sample at their leisure. I don’t know whether anyone made their way through the entire collection; if they did then their liver is of cast iron and their Sunday must have been abominable. As you’ll see from the photos below, the entire lineup was outstanding. 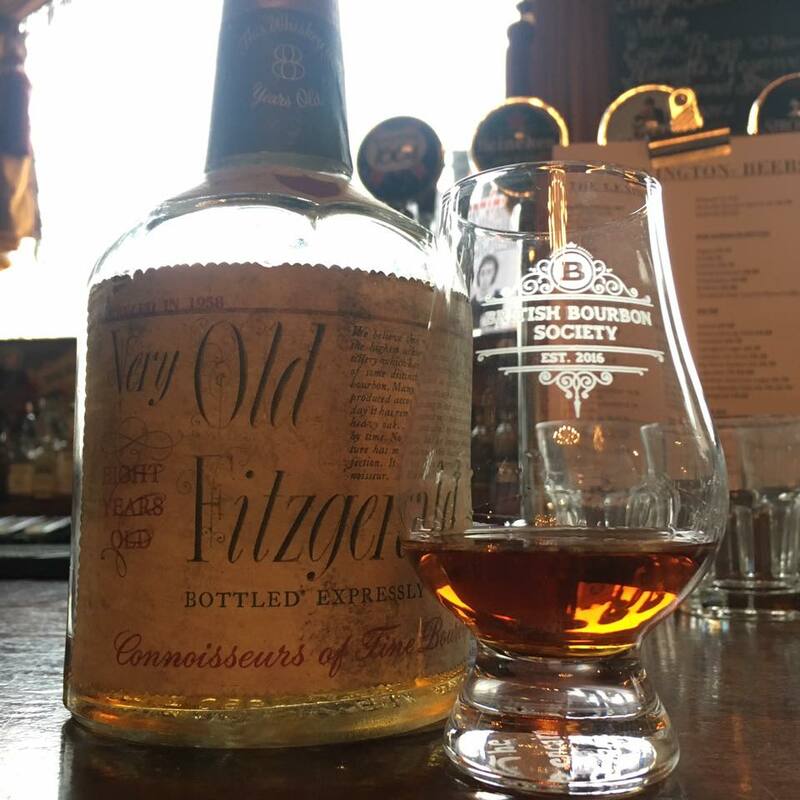 All eyes turned to the bottle of 1958-distilled Very Old Fitzgerald, but on this afternoon of highlight after highlight I still didn’t have an answer when people started comparing notes on favourites at the end. Three that would have competed for my vote though, aside from the VOF itself, were the 10 year old Notch Single Malt from Nantucket, WhistlePig 11 year old Rye and a Traveller’s Edition bottling of Old Crow from the seventies. We’ve had a fair few BBS events now, as the Society creeps closer and closer to its first birthday. Most have been themed by distillery or bottler; tastings of the Van Winkle and Michter’s lineup, or the Smooth Ambler Range. None have shown American whiskey’s diversity as fully as this popup did though, and in that sense it has to rank as one of the very best yet. The friend I dragged along – by his own admission a total newcomer to bourbon – left the tasting with new horizons...and a long shopping list. This inclusivity and diversity was further underlined by the presence of bottles right across the spectrum of price and rarity. Elijah Craig 12 and Maker’s 46 sat cheek-by-jowl with the impossible to find and the dizzyingly expensive. Each bottle given time, respect, a fair hearing and a chance to prove its worth based on flavour. I don’t think there’s anyone who attended on Saturday who won’t be back for round two, whenever it happens. A tasting on that scale, and of that quality, for the price of your train fare and an offering from your own collection. Seriously – what’s not to love? Oh. And there was also pizza. Huge thanks to Stacey and the staff at The Lexington for being amazing hosts. Also to the BBS founders and to everyone who contributed bottles and samples.